Blackberry Addicts: Can a Cigar Sometimes Be Just a Cigar? Can a Cigar Sometimes Be Just a Cigar? Anyone remotely familiar with postmodern theory, anyone generally familiar with the Humanities or critical theory, or anyone who’s a nerdy loser by any other means, will remember Roland Barthes. Barthes is best known for his contributions to the theory of semiotics – the study and interpretation of “signs”. Barthes illustrated how something can be both a thing (signifier) and something else (signified). For example, a bottle of wine (the signifier) can for some people be a destructive addiction (the signified) while for others it can be an evening of relaxation. In today’s contemporary dialectic, Barthes’ theories are best encapsulated by the words “denotation” and “connotation”. His ideas are abstract, as are most postmodern theories. And, in the words of Monty Python’s Dennis Moore, this is a blog, damn it, not a botany lesson! So, what does Roland Barthes have to do with, well, anything? Almost all of us, in fact, live Barthes’ theories every day. If you’ve ever asked someone, like your partner, to explain what they meant by something they said or did, you’re living Roland Barthes. If you’re a journalist or a blogger, and you’ve tried to figure out what the heck a politician meant by holding a press conference in Central Park, you’ve been “Barthed”. If you watch President Obama deliver a message from the Oval Office and find yourself asking why certain pictures appear behind him while others don’t, consider changing your name to Roland. And for journalists and bloggers alike, your ego often lives and dies with how well, and how correctly, you’re able to deconstruct, decode, and describe today’s many political connotations. And as the political landscape in Canada becomes increasingly pluralistic, this task becomes more and more daunting. The art of deconstructing political connotations is at its finest during election campaigns when reporters and bloggers fight over whose decoder rings work best. So far, we loved watching Free Press “reporter” Mary Agnes Welch attempt to figure out why Sam Katz attended a press conference with officials from Fox TV North. 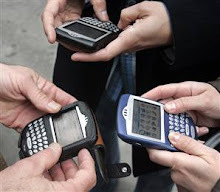 And, here at the Blackberry Addicts, we look forward to pitting our decoder rings against everyone else’s. For example, why was incumbent Mayor Sam Katz standing on the median of Portage Avenue early this morning? Really, eh, an incumbent and already recognized Mayor needs to stand outside, on a median, in two degree weather, and risk having some jerk throw a can at his head? That’s a “sign” of one of two things. Either he’s worried or his campaign team’s just plain stupid. So, is Sigmund Freud right? Can a cigar sometimes be just a cigar?